Frontier Touring are thrilled to announce the return of Rise Against to New Zealand in February 2018. The politically-charged, punk four-piece will play seven shows – their biggest headline shows in our countries to date – in celebration of their chart-topping eighth studio album Wolves (out now via EMI Australia). Joining Rise Against in AU/NZ will be special guests SWMRS. Tim McIlrath, Zach Blair, Joe Principe and Brandon Barnes will make their return following a hugely successful run of sold-out shows in December 2015 and an unforgettable stadium tour as Foo Fighters’ special guests. 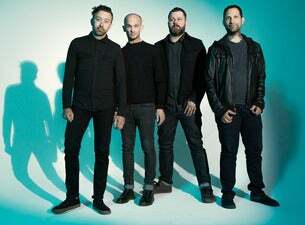 In Australia alone, the band have achieved more than 200,000 album sales, thanks to hits such as ‘I Don’t Want To Be Here Anymore’ and ‘Help Is on the Way’ and albums The Sufferer and the Witness (2006), Appeal To Reason (2008), Endgame (2011), and The Black Market (2014). Joining Rise Against in New Zealand will be special guests SWMRS, who released album Drive North in 2016 (via label Fueled By Ramen). The Oakland surf-punk outfit have been pals since childhood, and after tours of the US and Europe in 2017 will head down under on their very first visit to our shores. Drive North was helmed by FIDLAR vocalist Zac Carper; earlier LPs were produced by Green Day’s Billie Joe Armstrong (who happens to be the dad of drummer Joey). Check out track the video for ‘D’You Have A Car?’ here and ‘Palm Trees’ here.